The book covers the emergence of an exciting genre of graffiti and calligraphy – at the same time presenting a significant selection of works by more than 35 of the world’s hottest urban calligraphers. THE ART OF WRITING YOUR NAME brings together artists who merge calligraphy with the art of graffiti writing, street art and urban culture. 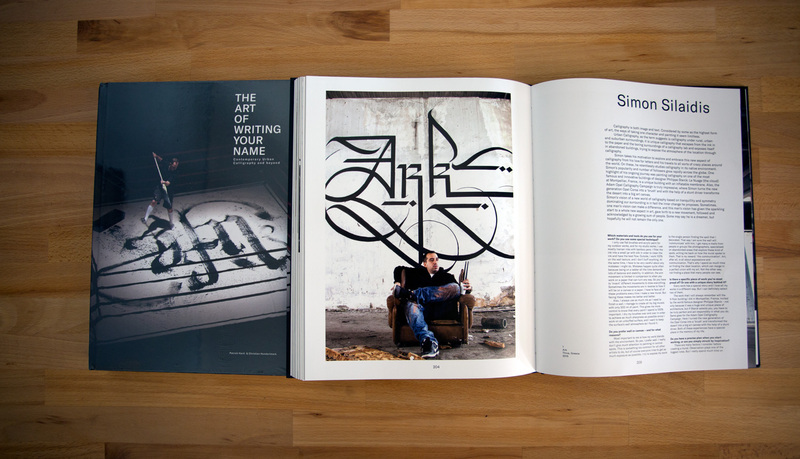 This book is a must-have for all calligraphy – lettering – graffiti – street art lovers, calligraffiti addicts and type enthusiasts. Special thanks to my art brothers Patrick Hartl and Christian Hundertmark for the honor including my ART to their book and all the great job they did to accomplish this great book.